Independent floating heads with double blade reciprocating razor, clean cut system, dry option , Rechargeable shaver adjusts to every curve of your face and neck, self sharpening blades and close efficient shave, comes with a unique pop up trimmer for a clean and perfect trim, dual cutter and a geometric acute foil. 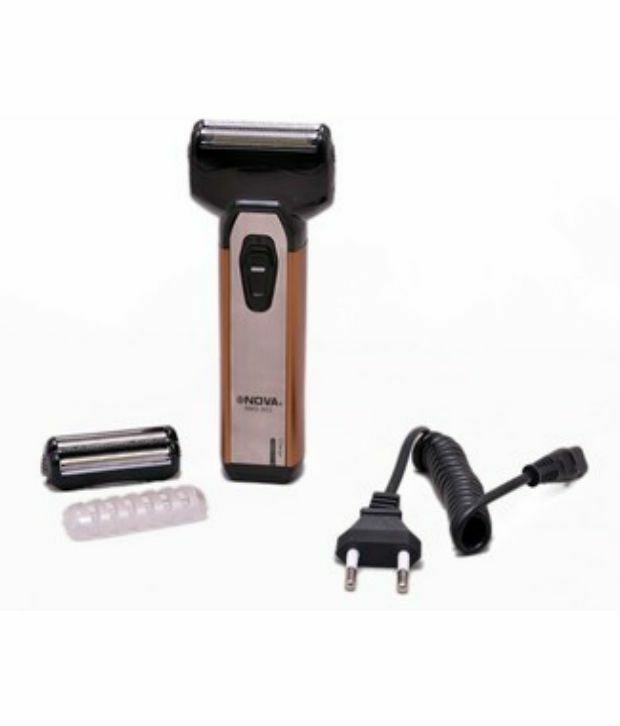 Nova cordless NMS-952 Independent floating heads with double blade reciprocating razor, clean cut system, dry option , Rechargeable shaver adjusts to every curve of your face and neck, self sharpening blades and close efficient shave, comes with a unique pop up trimmer for a clean and perfect trim, dual cutter and a geometric acute foil. To Recieve updates and possible rewards for Nova NMS 952 please sign in. To Recieve updates and possible rewards for Trimmer, Clipper & Shaver please sign in.